All global industries face a challenge to reduce their impacts on the environment and events – given that they are such intensive consumers of resources and energy – are no exception. The Edinburgh International Conference Centre (EICC) laid down an important marker last month by starting a nationwide ‘conversation’ on how the Scottish events industry is performing in terms of sustainability, and what improvements can be made to working practice. Hosting the, ‘There is no Planet B – Lessons for the Events Industry from children around the globe,’ EICC Sales & Marketing Director Amanda Wrathall, invited delegates at EventIt at the SEC in Glasgow on March 21 to respond to some of the most pressing environmental concerns of our time, highlighted in an impactful and alarming Guardian video which catalogued the devastating effects of single use plastics on our oceans. 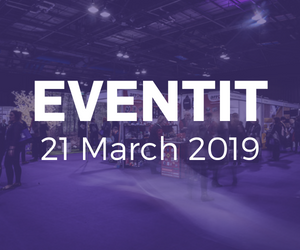 The events industry is by no means unregulated and there are sustainability measures that all organisations can take, enshrined in both the British Standard BS8901 Sustainability in Event Management and the international ISO 20121 Sustainable Event Management. But the question is whether anyone knows about these measures, how widely they have been adopted by events organisers and, if not, what more can be done to promote and enhance them. At the Masterclass, led by Wrathall and Esme Pringle, EICC’s Sales & Marketing Administrator, events professionals from across the country were invited to write their ideas on what the industry could do to improve sustainability, onto biodegradable balloons, which were later presented to EICC Chief Executive Marshall Dallas. The session was broken into four parts with the EICC posing questions to the audience on how to reduce the industry’s carbon footprint, where responsibility lies, for example with suppliers or buyers, whether technology is sustainable and can be a ‘green’ solution, and what can the events industry do to give the planet ‘another second’. The audience proactively engaged with the questions and were very enthusiastic in their responses, and challenges. Among the many positive suggestions were to introduce better legislation, make event products recompostable and biodegradable, and numerous other ideas including education and raising awareness, taxing unsustainable products, cultural change and more use of virtual events. As part of the venue’s industry awareness-raising initiative, the EICC team brought the company’s electric car – which is branded with one of their key values: ‘We love our environment’ – into Hall 5 of the Scottish Event Campus, to demonstrate their commitment to reducing EICC’s own carbon footprint. Amanda Wrathall, EICC Sales & Marketing Director, said: “Our Vision is, ‘To create an environment which inspires ideas that change the world’, which we have seen come to life through our educational partnership with Edinburgh Napier University, and through our cultural partnership with the Pleasance Theatre Trust. 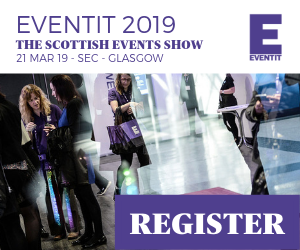 “I attended the ‘There is no Planet B’ session at the EventIt show on March 21st and it was very refreshing to see the EICC taking the lead on this topic. Participants were really made to think about how unsustainable events can be and what can be done to turn this around. Things like food waste, plastic give-aways, delegates’ travel and room branding all contribute to delegates’ carbon footprint at an event. The EICC team shared some of their ideas on how we can minimise this and explained how they are driving this forward and looking to get other venues involved in Edinburgh. “I really enjoyed the session, it was engaging, informative and most of all thought-provoking. The EICC asked some very tough questions which really got the group thinking. It’s great to see a venue taking such a proactive approach in regard to environmental issues.